Got a jailbroken iPhone 5s? Consider replacing the built-in Messages app with biteSMS, a recently updated jailbreak application that offers users a feature rich messaging experience for Apple’s smartphone. The app is technically prerelease and as such a couple of bugs remain, but if you’ve been holding out for biteSMS for iPhone 5s, the wait is now over. You can download biteSMS 8.0 beta 7, which adds iPhone 5s compatibility, over in the Cydia Store provided you’ve added the following source to the app: “http://test-cydia.bitesms.com.” The updated application ensures that biteSMS plays nice with the 64-bit Apple A7 processor, since before now the app has struggled to run on the A7-equipped iPhone 5s handset. Most jailbreakers should already be familiar with biteSMS, regardless of whether it’s replaced the Messages app on their iPhone or not. 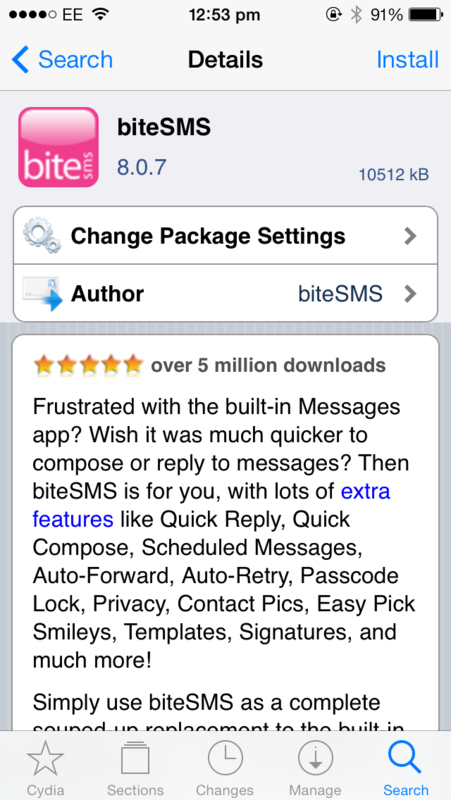 But for those new to the world of Cydia, biteSMS is indeed designed to outright replace the Messages application, and in doing so it adds features including Quick Compose, Quick Reply, scheduled messages, and much, much more to one’s smartphone. In many ways, it’s the kind of messaging iOS app most of us wished Apple would create and implement within its mobile OS. Until that happens, biteSMS can help, and the beta application is available to download in the Cydia Store provided you’ve added the aforementioned repository to your list of approved sources. For a license, users will need to pay a one-time fee of $7.99. Prospective users should note that this iteration of biteSMS removes the Messages app from one’s Home screen, given the nature of the jailbreak application. You can still get to the Messages app, if you wish, by performing a Spotlight Search; of course, uninstalling biteSMS from within the Cydia application will revert all changes made by the installation. 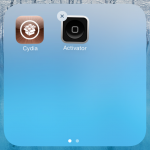 Are you planning on replacing the Messages app with biteSMS on your jailbroken iPhone 5s? 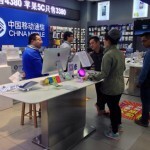 See also: Cydia Tweak: Delete Jailbreak Packages Just Like iOS Apps With CyDelete7, CES: Get Into The Groove With The IK Multimedia iRing Motion-Based MIDI Controller, and Carry On My Wayward Saga: More Footage Of Mage Gauntlet Sequel Hits The Web.